We just got done going through two Nor'Easters here in NJ. One on a Friday and then the following Wednesday. Wednesday we lost power and I was not prepared like I normally am with hot water in thermos and water in every pot and pan and big containers for flushing toilets, washing hands, etc. So, when our power went out on Wednesday I had to go in thinking mode and was worried about all the stuff I had just bought at the store that previous Monday. My fridge and freezers were packed. I came up with a solution on how to reuse freezer and storage bags during a snow storm. We had received over a foot of snow. I normally reuse freezer and storage bags as a general rule. I wash them out with hot soapy water and let them air dry. I just make sure they don't leak, but you never know once you have them washed. It was day 2 without power and we had all this snow, heavy wet snow. So I went outside with a few bags and put in handfuls of snow (use a glove or other big scoop, as it is very cold) and don't fill it all the way up. Flatten the snow out and make a mock ice pack or "Snow" pack. And place them in your fridge - on top of foods, between food, in the deli drawer, doors, etc. I made a lot and some extra for my fridge freezer. Then I remembered I had a Styrofoam cooler from a steak company that was ready for the dumpster. I filled it 2/3rd of the way with snow (this will be super heavy, make sure you are strong or get someone who can lift very heavy items) and take it inside. Nestle your milk, sour cream, yogurt, water, etc into the snow and put the lid on it. Just like when you reuse freezer and storage bags during a snow storm, you can do the same with these containers. You can use the milk for pudding or cereal and just put it back in the cooler and containers of pudding as well. 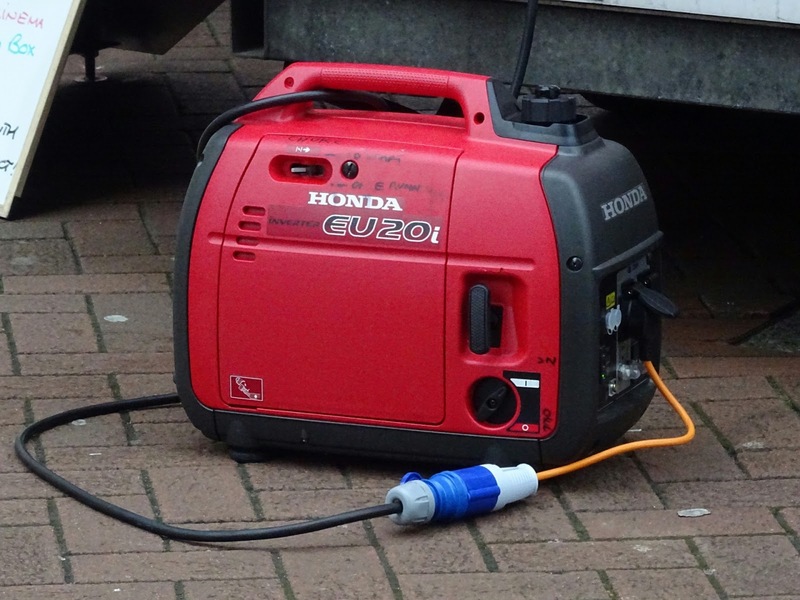 We ended up borrowing a generator to get the heat, fridge and big freezer going, but we still didn't have water. But I had water I had stored in huge Tupperware containers for the toilet but thankfully someone brought me a huge 5 gallon jug of it, or we might not have made it for toilet usage. 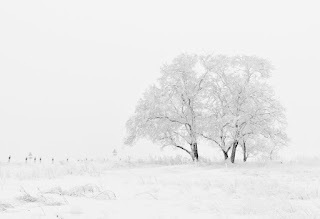 Be sure to save and reuse freezer and storage bags during a snow storm or for any kind of storm because you just never know when your power might go out and for how long. Thankfully we were only out for 3 days, but I had friends that were out for a week or more. I froze the first night and half the day...it was 60 degrees the first night and down near 50 degrees before we got the generator going. Once the electric came back on 3 1/2 days later everything was fine in the refrigerator and freezers. If you can refrain from opening them, they will stay colder longer, but like I said, I was not prepared and had to go into the fridge to eat cold chili the first night and peanut butter and jelly was ok after that, but I also had some other stuff I took out to eat cold...but by that point I had already had my snow packs in there. If you just make up a bunch of snow packs and only open the door once or twice, you should be ok in the winter. In the summer, we got a whole different situation going on..lol. If you have the freezer space, just fill them with water and keep them in your freezer for the summer outages. 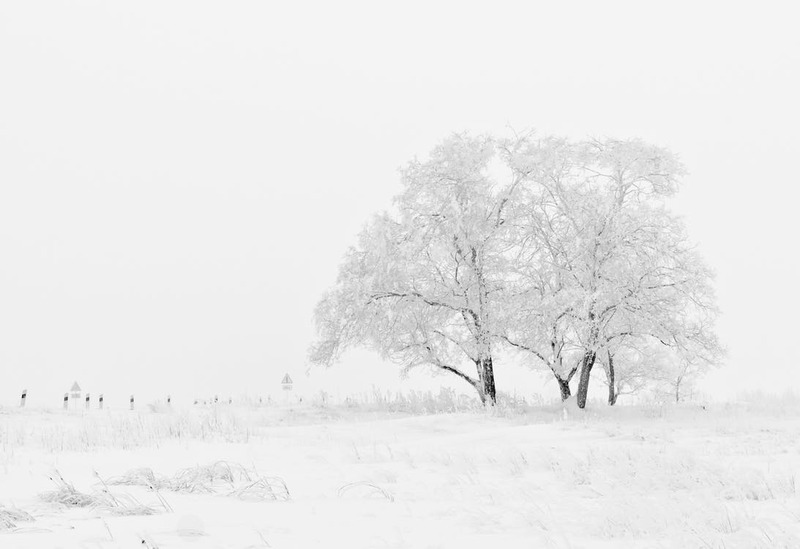 Do you have any tips for those that have not prepared for a winter storm? Please comment below. Thanks for reading and Spring will soon be here, cannot wait!! 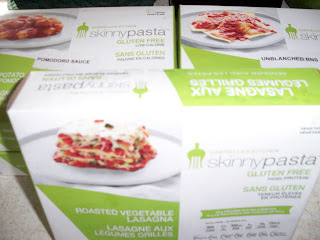 Today, August 18th I hosted a little get together featuring skinnypasta made by Gabriella's Kitchen. I received a dinner kit from Tryazon for free, in exchange for my honest review. In my dinner kit I received 2 boxes of Spinach and Cheese Ravioli, 1 box of Vegetable Lasagna and 2 boxes of pomodoro sauce. 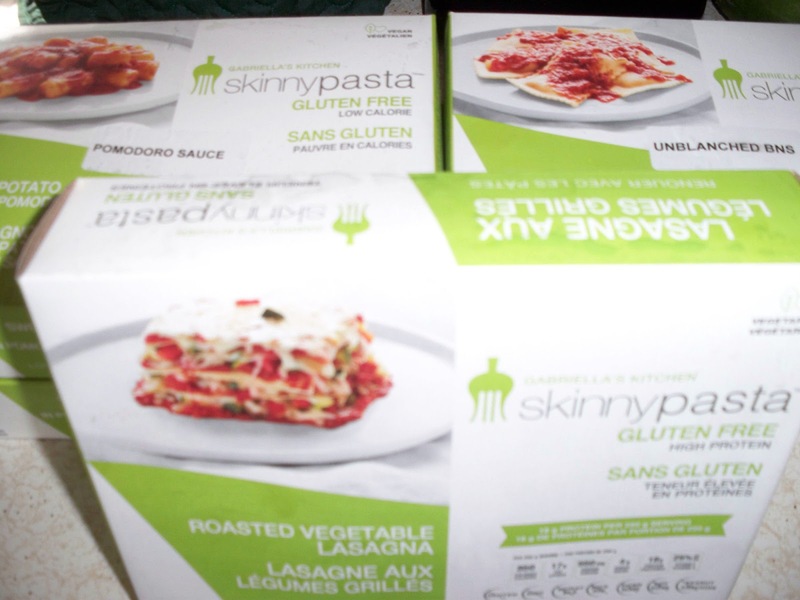 The meals claim to be gluten free, vegan, low carb, low calorie and high protein enriched food. They also claim to be GMO, preservative and additive free. I was to have at least 5 guests at my party and that is what I had and thankfully there was not anymore as most of went in the garbage and I will tell you why below. I consider myself an Expert cook! Fortunately, I have never thrown anything away that I have cooked with over 30 years of experience, but this food was a disaster. 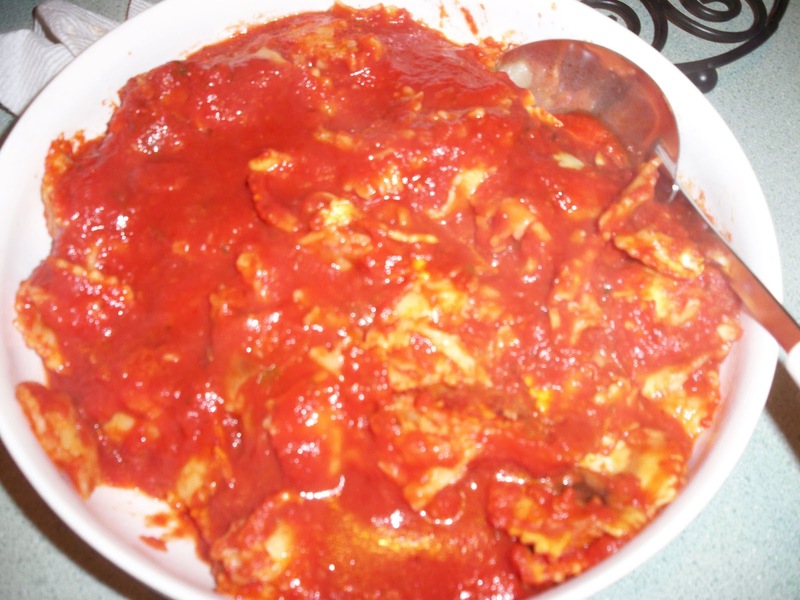 As seen in the picture below, the lasagna on the left and the ravioli on the right. Both were to go into a 425 degree oven covered with foil. 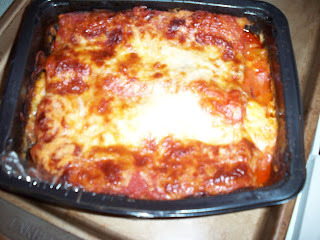 The lasagna came out much better than the ravioli. Whoever thought to cook frozen ravioli without water or sauce in an oven is out of their mind! They both had to bake at a minimum of 40 minutes. At the 40 minute mark, I went to check and the lasagna needed a little bit more time but the ravioli was burnt, hard and in the middle a pile of mush. So, I added the sauce to the ravioli and stuck it in the microwave for 15 minutes - I think that if I had cooked it in the microwave it might have come out ok. It still was not right, so I stuck it back in the oven for another 15 minutes, in the meantime my guests were getting very hungry and a bit upset. I pulled out the ravioli and put it in a dish with the extra sauce and we attempted to eat it. I was trying to eat the hard pieces and the chewy mass - I tore many pieces apart and I did not see any cheese or spinach in the ravioli - it was basically a pile of dough with sauce. The sauce also had an off taste to it that did not make help make it any better. Unfortunately, it all went in the garbage can. 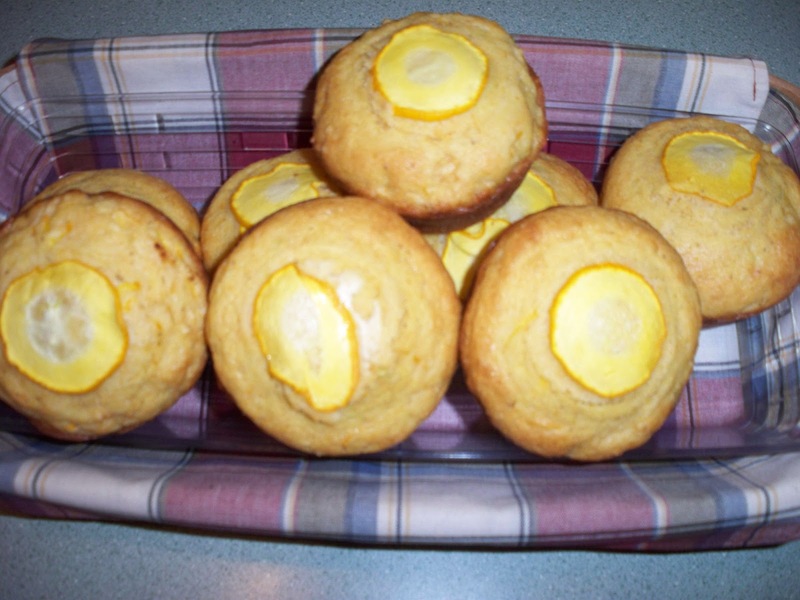 I did make zucchini cornbread muffins. They were delicious! Not dry due to the zucchini, which always makes baked goods nice and moist - perfect! We also had some pepper cabbage to go along with it, everyone agreed that the pepper cabbage and the muffins were the best thing on the table. The lasagna did get gone but in my opinion there seemed to not be any cheese between the layers, very small bits of vegetables, layered between 3 or 4 pieces of noodles, topped with sauce and mozzarella cheese. It was really not too bad. 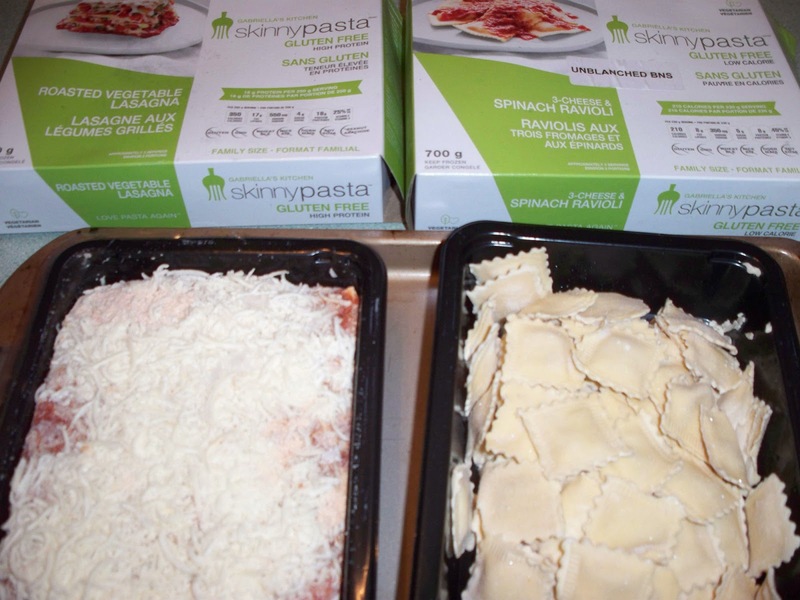 Overall, I would not recommend trying the skinnypasta spinach and cheese ravioli. I guess if they had included the sauce in the pan and had proper instructions, it might have come out alright, but I would not buy their products. It was an experience, though, as I never hosted a Tryazon party. If you are interested in applying to host parties of your own, visit Tryazon.com for more information. It is free to sign up! Home Chef is a food service company that allows you to buy fresh ingredients to cook at home. 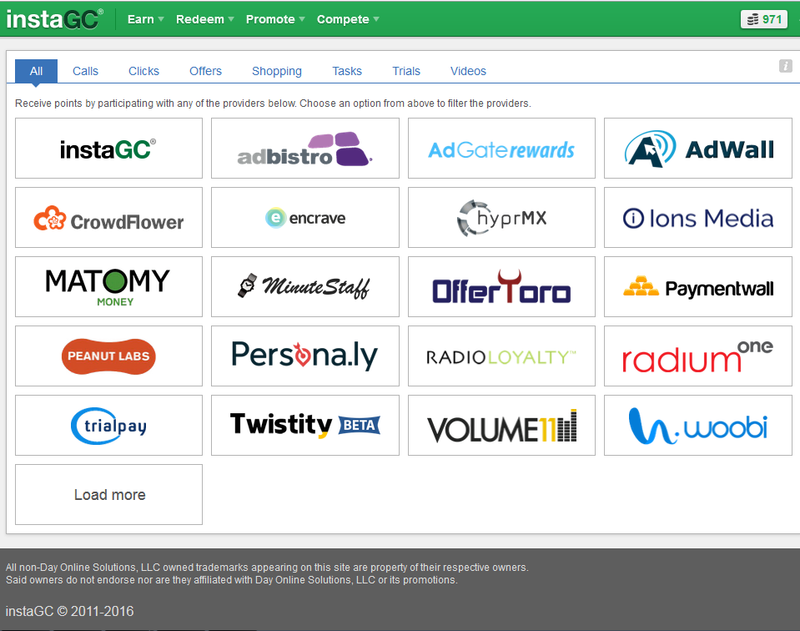 I signed up only because I am a Swagbucks member and they will basically give you your money back. But, unfortunately, I did not read the full terms and never got my swagbucks, lesson learned. So, I signed up, ordered my first meal which was for 2 people and 3 meals. It took almost 2 weeks before I got my first order (which was today). I was very unimpressed. First of all, I had 2 chicken entrees and a pork chop entree. As I opened the box, I realized, there is NO WAY this is going to feed 2 people (it is just me and my adult son) - no way!! Very TINY portions for the sides...so ok, I finally get to the meat and something was not right! There was chicken juice all over everything - I took it to the sink and realized the 2 chicken packages were OPENED and not just a tiny hole, completely OPENED!! And the juice was leaking in my sink, but the pork chops in the same package were not opened. So then I realized the chicken juice was leaking out the box sitting on my kitchen floor and also saw my porch was covered in this same juice - well now I was really pissed, plus the chicken looked like chicken tenders or something, not what I had ordered. The chicken went in the garbage, but the veggies and other ingredients were packed separately and ok, as far as I can see, but I am afraid to eat them. "I'd like to assure you that even when your meat packaging is open slightly, it is still safe to use! The temperature of the products will be the best indicator of food safety, so as long as it arrived refrigerator cold, I would suggest putting the meat into a resealable bag and/or using the meat right away. If not, I'd take off 3 days from the "Cook-By Guideline" posted on your recipe card. Of course, safety is always first, so I think it's best to check the meat for irregularities or a strong smell and don't use anything that you're just not comfortable with." It should have came frozen, not thawed and shipped 3 days before it is to arrive, even with lots of ice - this is not the way you ship MEAT!! This company to me is GARBAGE and I do not recommend them to ANYONE! They are going to refund me, but seriously people, don't spend any money with Home Chef Food Service - they are not worth a penny. I don't normally leave bad reviews, but when something like this happens, I do and think you might want to reconsider of you ever think of trying Home Chef. Anyway, they do have the bacon taste and a cheese taste, but I would not call them Mac and Cheese by any means - pasta to me, alone has no taste - so why not call it just Cheddar Cheese Bacon Chips? I think Lay's messed up on this one, but what are your thoughts? Leave comments below and thanks for reading!! Oh by the way, the bag says it serves 3 at about 15 chips - I honestly don't think there are 45 chips in the air filled bag. 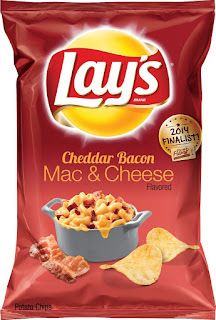 Overall, would I recommend Cheddar Bacon Mac and Cheese Chips? Maybe - if you want a quick fix for saltiness with a hint of bacon and cheese...otherwise, I would actually choose something else. If you want to give Cheddar Bacon Mac and Cheese Chips a try and don't have them in your area, you can pick up a 7.5 oz bag at Amazon. Disclaimer - This posts contains affiliate links which may result in myself making a few bucks on a purchase! This Organic Argan Oil Shampoo Review is being conducted because I received this product for free in exchange for a written review. This post may include affiliated links. 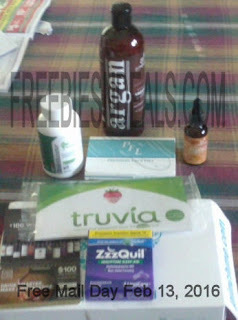 I had never heard of Argan Oil before, so when I had the chance to try it through Elite Deal Club, I was super excited. You see, I am getting close to 50 years of age and my hair has taken a drastic change over the past year or two. I have always had very coarse hair, so now my hair is turning gray and the texture has totally changed to a terrible rough texture with instant Frizz! The frizz has been bothering me for a few years and I have tried so many different products, none of them worked, but this Argan Oil Shampoo worked!! I am in HEAVEN!!! Finally! My hair is smooth again, and so far no frizz!! I have been using it for about a month now, I am totally impressed!! I have not had a chance to try the conditioner, but instead have been trying out the Organic Argan oil Hair Mask and I love it just as much as the shampoo, so that review will be coming up next. Overall, if you have problematic hair, I highly suggest you give this a try! I never really been on a hunt for the perfect shampoo, but I am really happy I was able to try it out! The price of the Organic Argan Oil Shampoo Review is not too bad either, for only $14.95 for a big 16oz bottle and a little bit goes a long way!! Give it a try and let me know what you think. Wow! This bar tasted like a really good candy bar. It is a chewy, chocolaty, minty bar. If I was to eat this not knowing what it was, I would really think it was a candy bar and not healthy at all. It has 30 grams of protein, which is amazing, 3 grams of fiber and is gluten free. But, the part that I did not car for was the calories - a whopping 280 with 60 fat calories. Now, I normally don't pay too much attention to those numbers, but to me, they seem extremely high. Even with the extra Iron (30%), Calcium (10%) and Phosphorus (25%) to me the extra calories would probably not prompt me to buy them in the future. But, if you are on a high protein diet, then I am pretty sure you will love this bar and the dark chocolate and mint flavor. If you are interested in a free sample of Premier Protein Bar, click here. I am not sure if there was a choice between the bar or the shake, I don't remember, as it was several weeks ago that I signed up for it. Hope you get a chance to try out these products, if you haven't already and thanks for reading my Premier Protein Bar Review! Effective immediately, I am no longer giving supplement reviews. This is due to the fact that I got very sick this past weekend from taking too many supplements. Since I cannot pinpoint which one it was, I refuse to take any more supplements in general. I would also like to take the time to address the warnings which most supplement companies do not tell you. Basically, if you are taking supplements just for the heck of it, maybe because you got them for free or you "think" you need them, listen to me! You MUST seek advice of a doctor before trying to treat yourself for anything you think is wrong with you, do NOT take a supplement because you think it will cure you. In fact, taking the wrong supplement may just kill you! And do not take crazy vitamins, unless your doctor tells you it is necessary. Everyone has certain vitamins in your body, taking too many of them can and will kill you. Many supplements are made of unknown fillers - those right there to me are garbage. One in general is Brain Booster - DO NOT TAKE IT, unless your doctor tells you - more like BRAIN DEAD!! Seriously, I am telling you to do not take anything you are unfamiliar with and ALWAYS check with your doctor. Thanks for reading my post about no longer giving supplement reviews. Obviously I have not tried too hard this year yet, but I only go there when I have time, which is usually a few times a week for about a 1/2 hour or so. 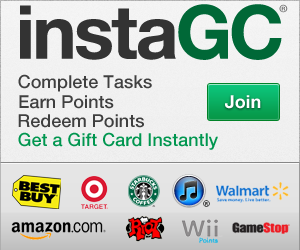 Click on instaGC and you will presented with a drop down menu on the left side of your screen, click Daily and everything on this page can be done daily, if you qualify. I received Critical Nutrition St. Johns Wort 300mg Capsules from Amazon Review Trader at a discounted price and am providing my honest review. I have been using this product for about 3 weeks now and have been suffering from mild depression for the past year or so off and on. I have used other St. John's Wort's products a few years ago and I really wanted to try it again. I have had increased energy and have started projects that I have been wanting to start and never had the umph to even begin working on. This alone is a huge accomplishment for me. Before taking this I had basically zero energy or desire to do anything. Critical Nutrition St. Johns Wort 300mg Capsules have made me a true believer in the product and while I do have a tendency to forget to take it 3 times a day as suggested, I do manage to remember to take it at least once a day, but for the full effect, you really should take the recommended dosage which is 1 capsule, 3 times a day, preferably with a meal. Each bottle contains 120 capsules, which should last you about 40 days. Overall I am very pleased and would recommend Critical Nutrition St. Johns Wort 300mg Capsules to anyone who is lacking energy and who are experiencing mild cases of depression. Thanks for reading my first review on my site, now my question to you is: Have you ever used St. John's Wort and if so, how do you like it? Please comment below to let me know. 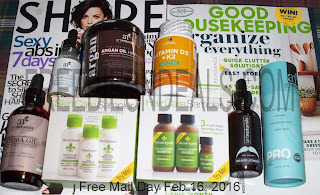 Wow, I am totally amazed about how many Free Full Size Products for FREE in the Mail I have received in just 2 days. Most of the full size products I got through either Amazon Review Trader or Elite Deal Club. 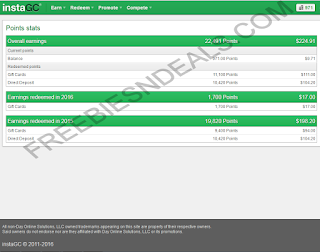 You simply sign up for free, get an Amazon Prime membership (trial for 30 days or paid for a year) and sign up for these two sites and start requesting free products. You do need to provide a review on each item through Amazon Review Trader, but it is optional on Elite Deal Club. Elite Deal Club allows you to get 1 item from 10am - 1:59pm (EST) and unlimited items after 2:00pm. You can only get one of the same item, no matter how many days it is available. Amazon Review Trader, you pick items you want to try and the supplier of the product will decide if they will let you review it or not. So far, I have only been approved for 5 items since joining last week. Just keep adding things to your list and eventually you will get approved. I also have received free magazine subscriptions from various different places, but my favorite is Recyclebank - you simply do easy tasks, earn points and exchange them for free subscriptions. I received Truvia, ZzzQuill and a Wine Voucher from PinchMe - each month they allow you to choose samples based on your profile, but they sell out quickly so you have to watch your mail closely on the day when they open it up for samples. 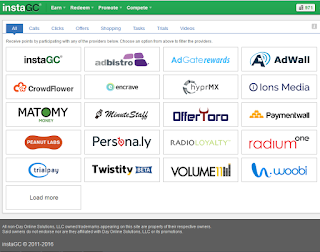 Once you receive the samples, you need to try them and give a review, this will allow you to get more samples the next time they offer them. The other samples I received in the pictures are Biossance - The Revitalizer Skin Moisturizer and Derm Organic hair care samples and Skin Care Samples. As you can see, in just 2 days, I kept my mail lady very busy and have received close to $300 in FREE product. It is relatively easy to receive Free Full Size Products for FREE in the mail. Many items we also receive for free in exchange for our honest reviews. Copyright 2009-2018 Freebiesndeals.com, All Rights Reserved. Illegal Copying of Pictures Prohibited. Awesome Inc. theme. Powered by Blogger.